This beach is a family friendly spot to spend the day. The sandy beach and calm surf make it the ideal to spot to swim and sun bathe. Surrounded by a park, there are picnic tables and grills to use. Since a beach pass was included with the rental, we were able visit a few different beaches in the Hyannis area. Our favorite was Sea Street (Keyes) beach. My sister and her husband took advantage of the two bicycles in the garage and were able to ride to the different local beaches. Veterans Beach was nice as it had a playground for kids. 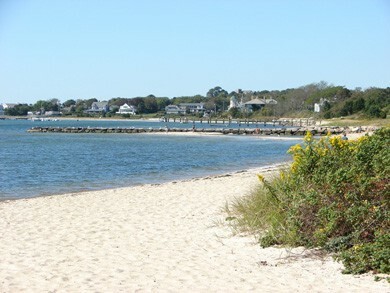 Close to our rental property Hyannis Vacation Rental ID 4759; clean, safe, small, family-oriented. We TOTALLY relax and have fun here! Down the street from the house, very easy to visit and its great for the little ones when the tide is low. Quiet and peaceful for a quick trip.